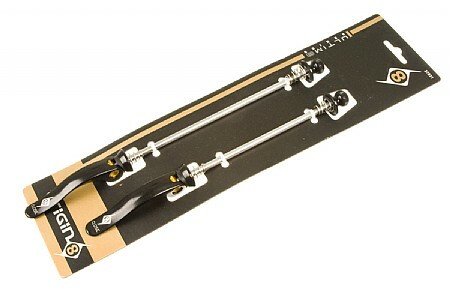 Comes with 2 skewers one with rear 135mm spacing and one with standard front spacing. For the price, I'd say they're good. Haven't had any problems with them, and they have good clamping power. I am not a big fan of the design look of the nut, but it works.